The LLP structure is available in countries like United Kingdom, United States of America, various Gulf countries, Australia and Singapore. On the advice of experts who have studied LLP legislations in various countries, the LLP Act is broadly based on UK LLP Act 2000 and Singapore LLP Act 2005. Both these Acts allow creation of LLPs in a body corporate form i.e. as a separate legal entity, separate from its partners/members. The desirability of LLP form in India was expressed in the context of small enterprises by Bhat Committee (1972), Naik Committee (1992), Expert Committee on Development of Small Sector Enterprises headed by Sh. Abid Hussain in 1997 and Study Group on Development of Small Sector Enterprises (SSEs) headed by Dr. S P Gupta (2001). The committees set up by the Ministry of Company Affairs, namely, Committee on Regulation of Private Companies and Partnerships headed by Sh. Naresh Chandra (2003), Committee on New Company Law (Dr. J.J. Irani Committee) (2005) also recommended for legislation on LLPs. The Limited Liability Partnership (LLP) Bill, 2006 was introduced in the Rajya Sabha on 15th December, 2006. The Bill was referred to the Lok Sabha Standing Committee on Finance, for examination. The Standing Committee consulted various chambers of commerce, professional institutes and other experts and also heard the M/o Corporate Affairs. The said Committee presented/submitted its report to the Parliament on 27th November, 2007. Based on such report the Ministry of Corporate Affairs revised the LLP Bill and the revised LLP Bill, 2008 was introduced in the Rajya Sabha on 21st October, 2008. This was passed by the Rajya Sabha on 24th October, 2008. The Bill was passed by Lok Sabha on 12th December, 2008. The President gave assent to this Bill on 7th January, 2009. Any two or more persons associating for carrying on a lawful business with a view to profit may set up an LLP. The LLP Act does not restrict the benefit of LLP structure to certain classes of professionals only. A minimum of two partners will be required for formation of an LLP. There will not be any limit to the maximum number of partners. A body corporate may be a partner of an LLP. An entity which has objectives like “charitable or other not for profit objectives” would not be able to set up LLP since the essential requirement for setting LLP is ‘carrying on a lawful business with a view to profit’. The LLP Act 2008 allows Foreign Nationals including Foreign Companies & LLPs to incorporate a LLP in India provided at least one designated partner is resident of India. However, the LLP/Partners would have to comply with all relevant Foreign Exchange Laws/ Rules/ Regulations/ Guidelines. Every limited liability partnership shall have either the words “limited liability partnership” or the acronym “LLP” as the last words of its name. Indian Partnership Act, 1932 is not applicable to LLPs. LLP form is a form of business model which is organized and operates on the basis of an Agreement and it provides flexibility without imposing detailed legal and procedural requirements, enables professional/technical expertise and initiative to combine with financial risk taking capacity in an innovative and efficient manner. LLP shall be a body corporate and a legal entity separate from its partners. It will have perpetual succession. The LLP is a separate legal entity, and is liable to the full extent of its assets but liability of the partners is limited to their agreed contribution in the LLP The LLP can continue its existence irrespective of changes in partners. It is capable of entering into contracts and holding property in its own name. The mutual rights and duties of partners inter se and those of the LLP and its partners shall be governed by the agreement between partners or between the LLP and the partners. This Agreement would be known as “LLP Agreement”. As per provisions of the LLP Act, in the absence of agreement as to any matter, the mutual rights and liabilities shall be as provided for under Schedule I to the Act. Therefore, in case any LLP proposes to exclude provisions/requirements of Schedule I to the Act, it would have to enter into an LLP Agreement, specifically excluding applicability of any or all paragraphs of Schedule I. Under “traditional partnership firm”, every partner is liable, jointly with all the other partners and also severally for all acts of the firm done while he is a partner. Under LLP structure, liability of the partner is limited to his agreed contribution. Further, no partner is liable on account of the independent or un-authorized acts of other partners, thus allowing individual partners to be shielded from joint liability created by another partner’s wrongful acts or misconduct. Mutual rights and duties of the partners within a LLP are governed by an agreement between the partners or between the partners and the LLP as the case may be. The LLP, however, is not relieved of the liability for its other obligations as a separate entity. A basic difference between an LLP and a joint stock company lies in that the internal governance structure of a company is regulated by statute (i.e. 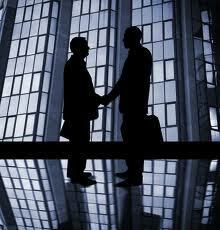 Companies Act, 1956) whereas for an LLP it would be by a contractual agreement between partners. The management-ownership divide inherent in a company is not there in a limited liability partnership. LLP will have more flexibility as compared to a company. LLP will have lesser compliance requirements as compared to a company. LLPs shall be registered with the Registrar of Companies (ROC) appointed under the Companies Act, 1956) after following the provisions specified in the LLP Act. Every LLP shall have a registered office. An Incorporation Document subscribed by at least two partners shall have to be filed with the Registrar in a prescribed form. Contents of LLP Agreement, as may be prescribed, shall also be required to be filed with Registrar, online. Every LLP would be required to file annual return in Form 11 with ROC within 60 days of closer of financial year. The annual return will be available for public inspection on payment of prescribed fees to Registrar. The incorporation document, names of partners and changes, if any, made therein, statement of account and solvency annual return will be available for inspection by any person and the fees for such inspection of an LLP is Rs 50/- and fees for certified copy or extract of any document u/s 36 shall be Rs. 5/- per page. Whenever a property has been purchased by one person for which consideration has been paid or provided by another person, the said transaction is considered to be a “benami” transaction. The proposition of law regarding the ownership of any property would be that the person in whose name the property has been purchased is presumed to be the real owner of the property and the burden of proving the transaction as benami is on the person who asserts that the property was purchased through the funds provided by him. Property means property of any kind, whether movable or immovable, tangible or intangible, and includes any right or interest in such property. The Benami Transactions (Prohibition) Act, 1988 is a piece of prohibitory legislation and it prohibits benami transactions subject to stated exceptions. Sections 3,5,8 of the Act came into force on 5-9-1988 and the remaining sections came into force on 19-05-1988. “(1) No person shall enter into any benami transaction. Therefore, purchase of property by any person in the name of his wife or unmarried daughter for the benefit of the wife or the unmarried daughter is not prohibited under the Act. There is a rebuttable presumption that the property had been purchased for the benefit of the wife or unmarried daughter. If the concerned person does not let in any satisfactory evidence to rebut the presumption that the property was purchased for the benefit of the wife or unmarried daughter, the transaction cannot be treated as a benami transaction and he cannot be held to be the real owner. If he fails to prove that the property was purchased not for the benefit of the wife or unmarried daughter he cannot claim that he is the owner of the property. “(1) No suit, claim or action to enforce any right in respect of any property held benami against the person in whose name the property is held or against any other person shall lie by or on behalf of a person claiming to be the real owner of such property. Therefore, on coming into force of the Benami Transactions (Prohibition) Act, 1988 defence raised for the proof of the fact that the property held by a person is in the capacity of a benamidar is expressly prohibited. Neither the court is permitted in law to consider such defence nor to record its findings.